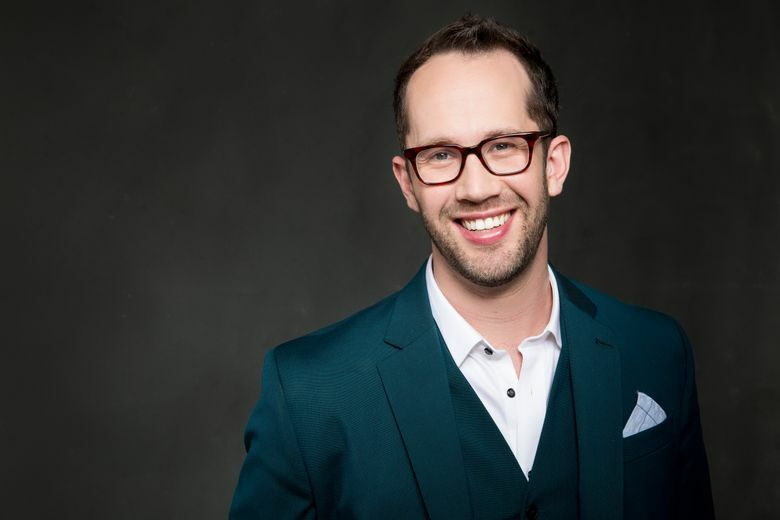 In this new occasional feature in which we shine a spotlight on someone involved in arts and entertainment, Brandon Ivie, associate artistic director at Village Theatre, talks about directing the new musical “String” and his bicoastal quest to find the best new musicals. Brandon Ivie probably has more frequent-flyer miles than you. The 32-year-old is the associate artistic director at Village Theatre, though it’s anything but a desk job. In his constant quest to discover and produce the best new musicals in the country, he pings back and forth between Seattle and New York. A month here. A month there. Maybe two months. Just how many flights is that in a year? He’s going to have to dig through his calendar and get back to us. Ivie oversees the Village Originals program, which presents readings and workshops of nascent shows during the annual Festival of New Musicals, and full-fledged trial productions as part of its Beta Series, introduced in 2016 shortly after Ivie came on board. The Seattle Times caught up with Ivie after — shockingly — another cross-country flight. He had just been in Issaquah to open “String,” a world premiere musical he directed about three Greek goddesses banished to the mortal plane. A day and half later, he was in New York. Minutes after Ivie emerged from a table read for another new musical, we caught up with him on the phone. Edited excerpts of the conversation follow. So many new musicals stall out at some point in their development, but “String” went through all the phases of the process at Village, from the Festival of New Musicals to the Beta Series to this mainstage production. What’s given the show its staying power? The show is both challenging in its sophistication while still being thoroughly accessible. It’s sort of pushing our audience in more contemporary, more modern directions, but not in an alienating way. It’s very funny. It’s very moving. It’s very emotional. But it still asks a lot of its audience — in a way that I think is exciting and makes you lean in. With “String” or other new works you’ve directed, how close have you felt you’ve gotten to your ideal version of what you want to see on stage? I’m a perfectionist, so it’s never perfect. Even [shows] where I have friends say, “This is the best thing you’ve ever done,” I sit there going like, “Well, I never had time to fix that part.” I’m a tinkerer, and I could tinker with things forever. It’s sort of good that it has to open, because if I didn’t have an opening night, I would keep giving notes and having thoughts. How long do those things stick in your mind? It’s always there. I’m sure in like three weeks, I’ll just be randomly walking down the street and go, “Oh my God, that’s how I could fix that moment.” It could be on “String.” It could be on a show I did five years ago. My brain is in a constant state of quandary. Is that frustrating or energizing? I find it energizing because I really love it. To me, new works — especially new musicals — are like puzzles. It’s like a brain challenge because there are so many moving pieces, and it’s so hard. It’s really hard. How many times in the last year have you flown back and forth from New York? I mean, that’s a great question. I should probably count. It’s too many to just like, think about. Is that a lifestyle you ever get used to? I’m artistically fulfilled in ways I can’t imagine. (Pauses) It’s hard to keep up with friends. That part of it is a little tricky. 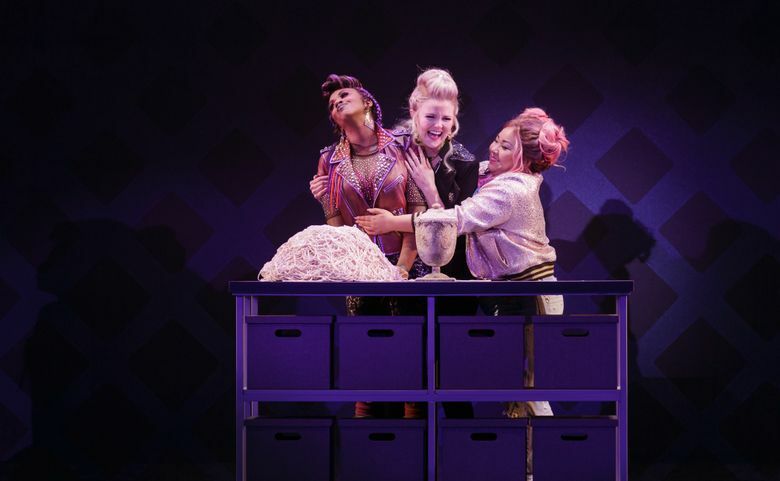 It seems like the new musical is something a lot of people want a part of, with nonmusical theaters like Book-It and Seattle Public Theater staging them in the last few months. Is this a great time for the new musical? 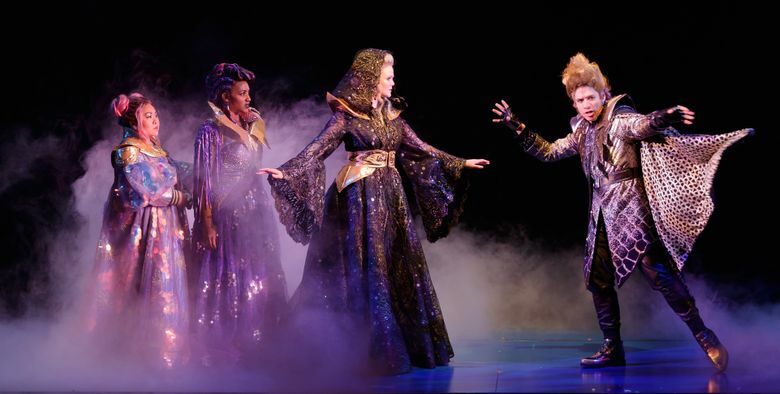 Given how many you see at all stages of development, what’s the worst trend in new musicals? Is this your dream job, or are you still looking for what that next thing might be? I’m kind of like a pig in slop right now. I’m always looking for the next thing, but I couldn’t be happier with where I am right now. There’s truly not another job like this in the country. Years down the line, I want to be an artistic director. I’m 32, and I’m spending half my year in New York and half my year in Seattle. I am in no rush to stop doing that. “String” by Sarah Hammond and Adam Gwon. Through Sunday, April 22; Francis J. Gaudette Theatre, 303 Front St. N., Issaquah; $38-$72, 425-392-2202, villagetheatre.org. April 27-May 20; Everett Performing Arts Center, 2710 Wetmore Ave., Everett; $27-$67, 425-257-8600, villagetheatre.org. Village Theatre recently announced its 2018-19 season, which includes another world premiere directed by Ivie: “The Noteworthy Life of Howard Barnes.” That musical, a Village Original from the 2013 Festival of New Musicals, will run at the theater’s Issaquah location Sept. 13-Oct. 21, and at its Everett location Oct. 26-Nov. 18. Dusty Somers: dustysomers@gmail.com; on Twitter @dustysomers.